"I want to make clear for you, the gospel...that Christ died for our sins according to the scriptures, that he was buried, and that he was raised on the third day." In February 2005 we had our first service in a hotel convention center in Aberdeen, South Dakota with a handful of committed people. These people were willing to serve, worship, and take a step of faith together. New Life has grown far beyond what any of us could have imagined in those first few days together. We contribute everything we are to God's inexplicable grace! In 2008, we found a building that we were finally able to make "ours.” We opened the existing New Life campus in Aberdeen on Easter Sunday! Over the following year, New Life began to grow exponentially as people invested in the mission and vision of the church.
" Now to Him who is able to do far more abundantly beyond all that we ask of thing, according to the power that works within us, to him be the glory in the church and in Christ Jesus to all generations forever and ever. Amen. " 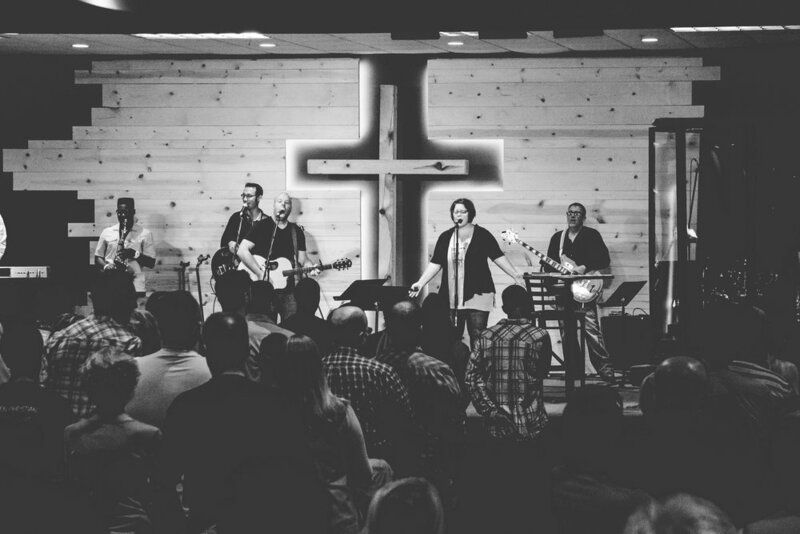 TODAY, we continue to expand the presence of New Life both locally and globally so people can encounter the love of God and connect with others in an authentic and exciting way. New Life is a home—a place where God's word is spoken in truth and light, and without compromise; a place where joy and love overflow. Here at New Life, you’re family! WELCOME HOME TO NEW LIFE!